What if your daughter or a friend’s daughter went missing? What would you do? 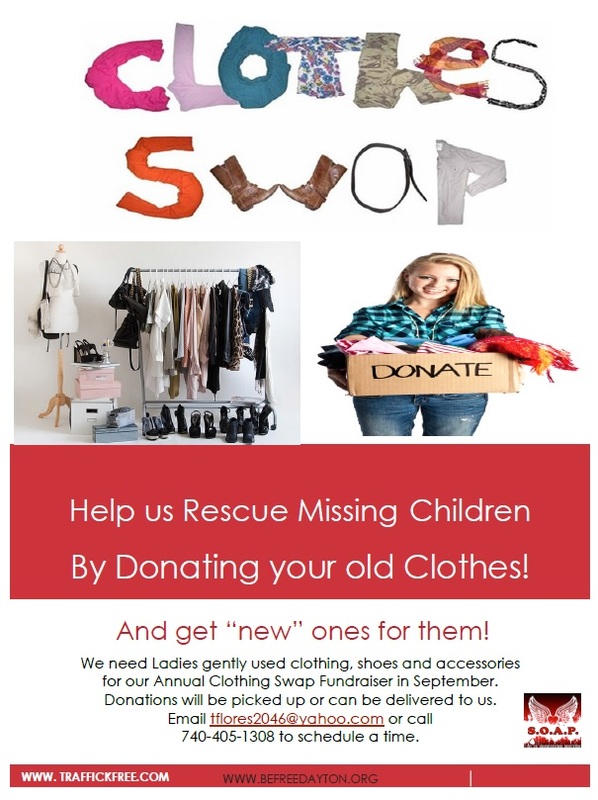 SOAP will be hosting its First Annual Clothing Swap fundraiser. Funds raised will help support the upcoming Quarter Horse Congress Outreach in Columbus as well as Theresa Flores’s Participation in the cross country road rally- Fireball Run to find Missing Children. Attached you will find two fliers about an upcoming event to raise funds for the fight against Human Trafficking. The first flyer requests a contribution of gently used clothing; jewelry; shoes; accessories. What better time to clean out your closet as we begin to transition to the fall? Even with today being one of the hottest days of the year, fall is just around the corner! The second flyer describes how these clothes will be used in the fight against human trafficking. 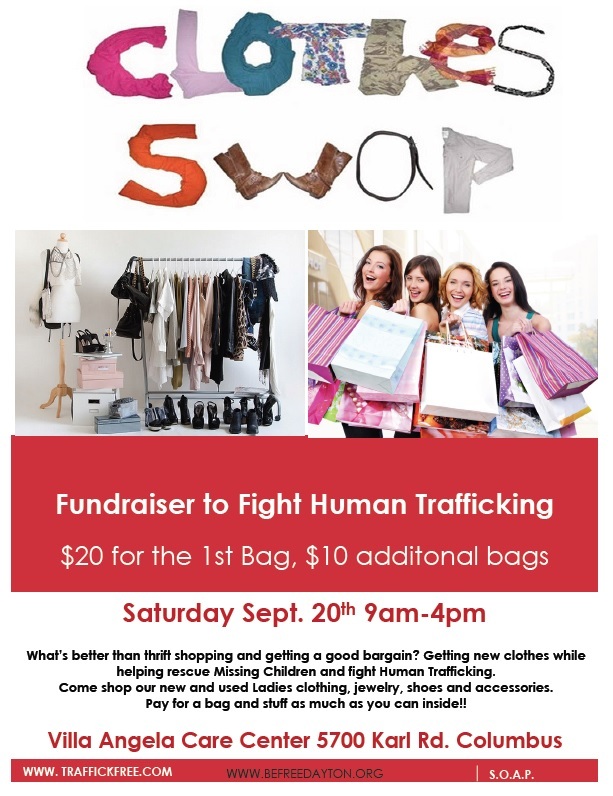 As the flyer states, the “clothes swap” will take place on Saturday, September 20, 9 am – 4 pm at Villa Angela Care Center on Karl Road.